Founded in 1978, with over 35 Years of experience, Austin Generator Service has provided professionally installed Emergency Generator Systems to hundreds of businesses throughout Texas and the nation. Our reputation for quality and professional services is unmatched in Central Texas. This reputation comes both from our personal commitment to deliver the best service possible, but also to sell generator products that are top quality and the best value for our customers. Our generator systems are made right here in the USA and are designed to meet the most stringent codes and standards, generators that are truly built to last. 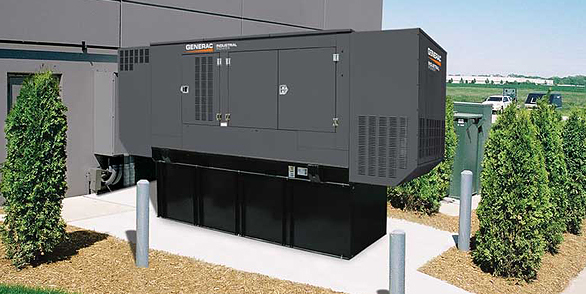 If you are considering an emergency backup generator system for your business, we can help. Contact us for a free quote. Austin Generator Service was hired to install Muenster Memorial Hospital's New Generator System. I would like to begin by commending what excellent customer service and friendliness your team provided for the hospital. I was very impressed with the coordination of the timeline and how quickly the new generator was installed. The transition process went very smoothly and I was amazed how fast the team worked to complete the project. I am very happy with the installation work, the re-wiring of the system and the installation of the Hospital's new generator. Muenster Memorial Hospital appreciates all the hard work and effort that went into this project. For future reference I would highly recommend Austin Generator Service to all companies looking to install a new generator. "I am writing to you to express my immense gratitude for the exceptional service we received during the entire process of selection, purchase and installation of our new generator. I cannot begin to say enough good things about your. Always prompt in responding to my inquiries, followed through to make sure that the contractors were here, that the work was performed correctly, and made sure that all the permits were pulled and that the inspections were satisfactorily completed … professional … great integrity. We had an excellent experience during this entire process, our family is very appreciative!"